As a young medical student, you cannot wait to graduate and get to residency. A huge paycheck awaits. Maybe you are sitting there reading this and you are now transitioned to practice. You’re struggling with financial decisions. You are wondering whether you should put money here or there or there or here. It’s so confusing! You could tear out your hair. After all, once you are in practice- we are talking about $200,000 annually as a primary care physician, and $400,000 if you do specialize. Quite a paycheck, right? Unfortunately, wages are stagnating and making laser-like focused decisions are becoming more important than ever. As a physician, you go through different stages in life and in each of those times, you will have a different focus. Before you go all out and start planning all the things you can buy, and the kind of life that you can live, let’s have a “Come to Jesus” meeting, a reality check. Here you are- done with medical school. Starting to make a little bit of dough. You are probably in your late 20’s or early 30’s – high in debt (hauling it all around the country), and unfortunately… low in income. Typically, at this stage, it’s all about- protect, protect, and protect some more. The main goal is to set yourself up for success post-residency. 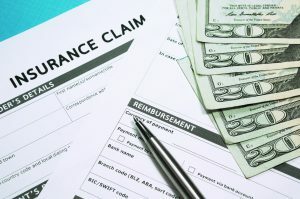 For most physicians, they need to ensure that they have an adequate cash reserve and appropriate insurance coverage, especially if they have people depending on them. A hack here is living on less. Simply, live like a resident. This advice is said over and over and over. It’s tired, but it’s true. Simply, establish a budget and stick to it. No need to commit to high rents, car payments, and mortgages. Where many residents fall and mess up is that they don’t have financial fortitude. They are so busy. They don’t have time to keep track of what they are spending. There’s a simple solution. It’s really easy. Very low tech…. Are you ready? Take out a set amount of cash every month for groceries, for eating out, and for fun & games & entertainment. Stick the eating out & fun cash in your wallet. When you are out, that’s it! You are forced to budget without keeping track of the budget. If your wallet is empty, you are done. For groceries, stick that cash in an envelope. Get into that envelope when you need groceries when that cash is gone. No more shopping! Develop that kind of discipline for whatever area you may struggle in- whether it is buying clothes, eating out- one or two area of spending discretion that you cannot control. 1) Enroll in PSLF as soon as possible, if you are working for a non-profit. Want to pay off your loans even sooner (but not get debt forgiveness)? Refinance your loans while in residency. 2) Buy $300/mo in an account that you can’t touch, but could access if necessary. Avoid cash value life insurance and long-term financial commitments. 3) Grab free money when it is available. Take advantage of employer retirement matches (if available) in your retirement plan. 4) Buy your next vehicle in cash. Don’t finance anything! 5) Invest in a Roth IRA. The money can come out tax-free for your first home purchase or even better, tax-free in retirement. To better understand PSLF and IBR vs PAYE, check out this blog post. 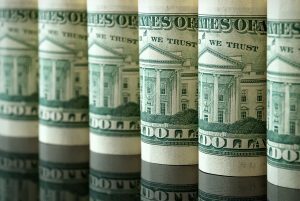 To check out companies you can refinance your debt with during residency, check out this blog post. You are more likely to be married and with a family – more financial responsibility. You will probably have a first job and the 6 figures will begin to trickle in. The key for year one: DON’T BUY A HOUSE. What if you don’t like the area? What if you don’t like the practice? What if you do move? Once you do buy a home, don’t be surprised to find yourself living paycheck to paycheck. The $4,000 to $5,000/month that you were saving, suddenly disappears into the house. New blinds, new furniture, new this, and new that. To help with accountability, a financial advisor who specializes in physicians will come in handy. For you to live on 60 to 70% of your salary as a retiree, you need to start investing early and systematically. This means maxing out your 401k, doing a back-door Roth IRA, setting aside more and more money in your cash cushion, and of course, paying off your debt. 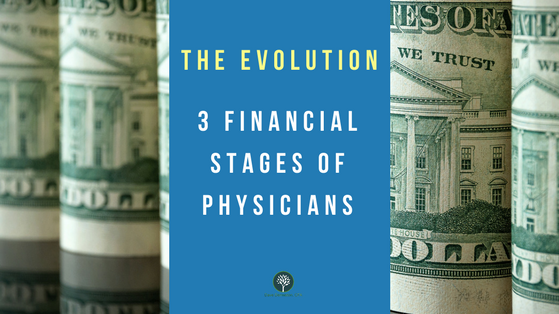 The most financially successful physicians that I’ve met with, focus on one aspect of their financial life: being debt free. If you want financial freedom and time freedom, you have to be debt free. If you can pay off your student loan during the first years of post-residency, you can begin to think about retirement. This also means: get rid of any credit card debt as soon as possible. Get rid of any car loans as soon as possible. Get rid of ALL non-tax-deductible debt as soon as possible! A hack? Delay pricey purchases. Before you go for luxuries, review risk management, life insurance, and disability policies. It is all a matter of getting your priorities right. Housing becomes a priority, especially if you have a family to take care of. There are a number of factors that will affect housing. A hack? Go for financing options tailored for physicians. Bank of America has some great physician-specific options. Also, consider working with an independent mortgage broker. You will be between 35 and 60, getting closer and closer to retirement. At this stage, the focus is on financial accumulation. If you will not have cleared your student loans, prepare a loan repayment strategy. More importantly, max out your retirement plan for a reduction in taxes. Maybe you can even get rid of those insurance policies now that you’ve built up many assets. As a matter of fact, one of the great struggles in retirement I see physicians have is the amount of money they have in traditional IRA versus Roth IRA. Make sure you have a big chunk of Roth! This way you can have money that comes out tax-free in retirement in addition to the taxable money. Now the bigger issue… more than ever is getting a solid financial plan in place. Have you ever seen the ING commercial that has a bunch of people walking around with random numbers hanging over their head? One has $700,581 floating above them. Another has $2,348,634. Then another person is carrying $1,438,921. It looks so confusing! What’s the difference between one or the other? How can they be so different? More importantly, it begs the question… what is my number? One of my physician clients and his wife have done wonderfully over the years. She was a teacher and he was a surgeon. They put themselves through school and saved up over the years. They even raised two great kids who became doctors themselves. They are successful beyond any measure of most people’s standards. Yet, one thing nags at them. One gaping hole bothers them all the time. They are afraid of not having enough, afraid of having to back to work, afraid of being destitute after having been so successful. 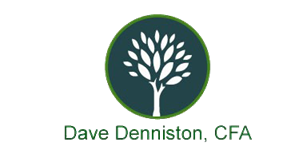 The “big three” that determine your retirement are income, living expenses, and savings. Each of these components can drastically affect one another. Consider that what you spend in retirement could be the same, higher, or lower than what you are currently spending. They key is figuring that out to the best of your ability. One of my friends is making great money- $300,000 a year- and sometimes much more. He’s a fantastic salesman who loves his job. He lives an incredible life. He goes on epic trips all across the country. He is a dreamer and innovator, someone with vision. On top of all that, he is a kind, kind person. He once paid for pizzas for all the nurses at the hospital when he was recovering from surgery. Yet, he doesn’t have any sort of discipline- he isn’t saving a single dime. Where does it all go? You have to know what those numbers are and that will determine the age at which you will retire. 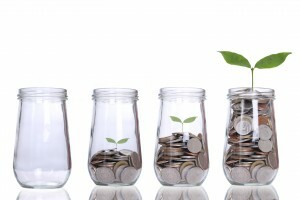 This gives you a definite time frame within which you can accomplish your financial goals. There’s a whole bunch of other variables as well. Do you want to include social security? Do you want to include inflation? What’s the rate of return that you are assuming? Are you paying for your kids’ college? How often do you buy cars? Are you planning on buying a second home? Do you have kids that are dependent on you financially? Take lots of time and work with a great advisor that can walk you through multiple scenarios that fit your vision. You now have an idea of what financial planning for doctors is all about. You may have a huge paycheck, but it is very easy to fall into the common pitfalls at each stage of life. Ask for help. Get guidance. You can do this! I am here for you. What other areas are you interested in growing your financial knowledge? I'd be happy to answer any in anFREE 30-minute consultation. Book yours today! or shoot me an email [email protected].